For most of us, this week is likely to be important because of Google's I/O developer conference, which starts tomorrow. But Microsoft is also desperately trying to push its own relevance on the Android platform at the company's Build 2018 developer conference, which began today and is scheduled to overlap with I/O. 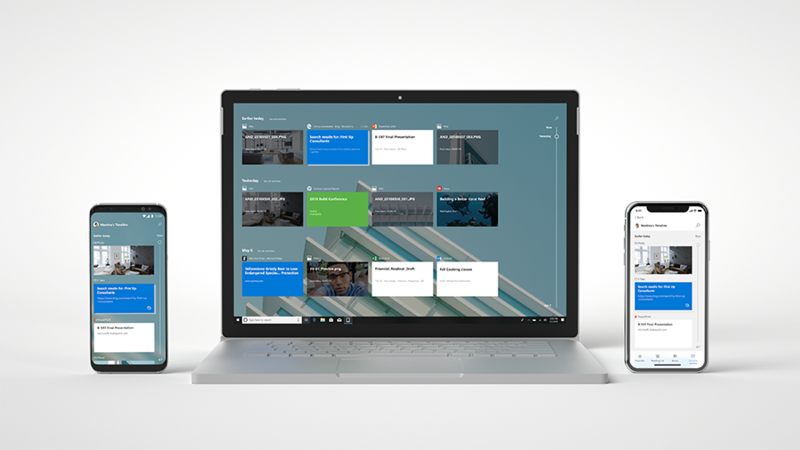 Details are sparse, but Microsoft has revealed that it is planning on updating its Android launcher to support the Timeline feature from Windows 10 for enhanced workflow, and it will also be rolling out a new "Your Phone" app for notification mirroring and file sharing. Since the demise of its own Windows Phone platform, Microsoft has been putting a lot of effort into creating a compelling suite of Android apps instead. 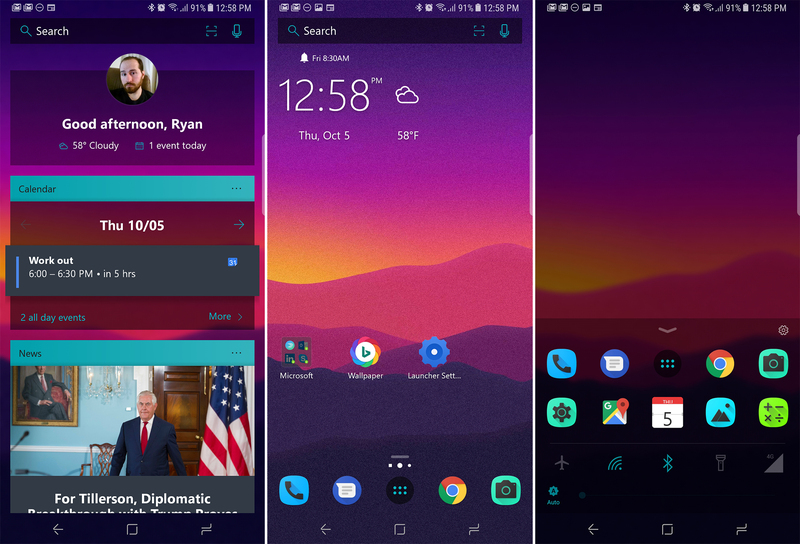 Microsoft Launcher started life as the experimental Arrow Launcher but morphed into its current form late last year. 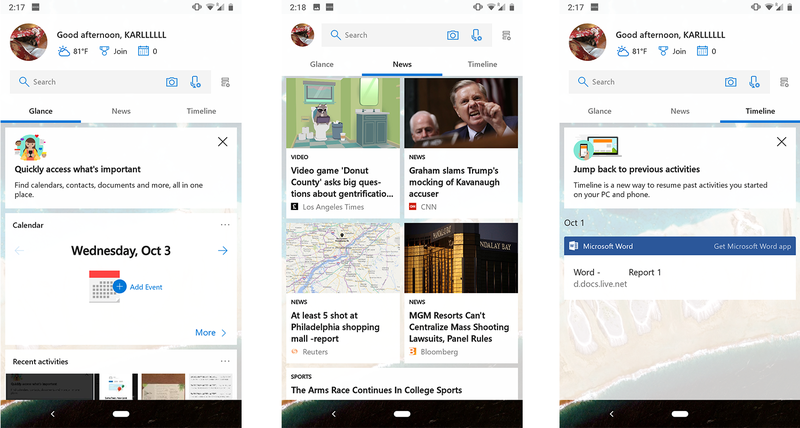 It features a control center panel unlike any other Android home app and is unsurprisingly linked with Bing rather than Google for search. A new beta update has just been released which integrates Microsoft's digital assistant, Cortana. It seems to work much as it does in the Cortana app (which doesn't need to be installed), but as an overlay on top of the launcher. Microsoft started branching out in mobile a few years ago when it became apparent Windows Phone wasn't going to work out. One of the apps that came out of the so-called "Microsoft Garage" program was Arrow Launcher. It was a reasonably popular app in the Play Store, and now Microsoft is giving it renewed focus and a new name. It's the Microsoft Launcher now.